Here’s a great all-in-one dish. 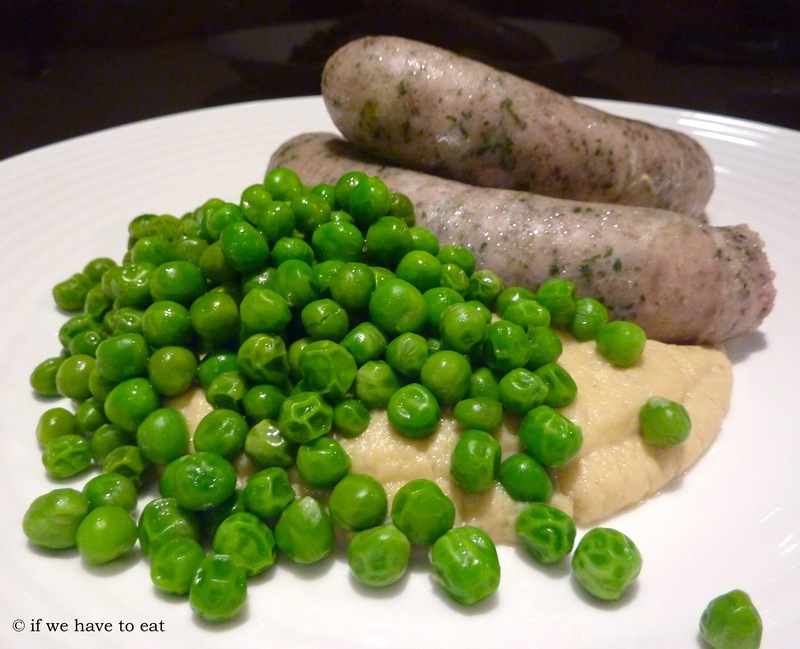 Everything is cooked in the Varoma and then the purée is finished in the bowl while the sausages and peas finish cooking. If you don’t like the look of steamed sausages, you can add some colour by frying them on the stove after removing from the Varoma. This entry was posted on September 15, 2013 by ifwehavetoeat in Mains and tagged Mains, Make Ahead, Meat, Recipe, Thermomix, Varoma.